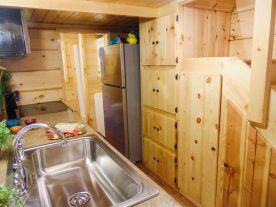 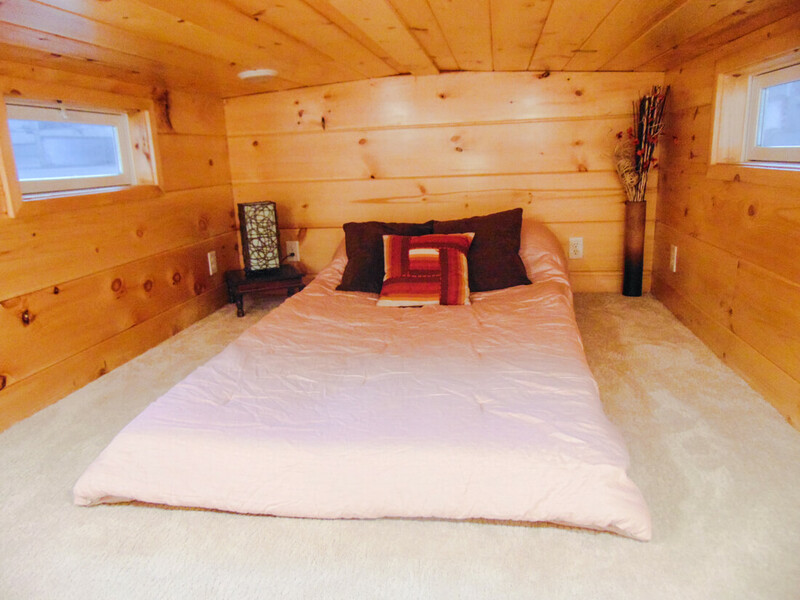 Lots of head room, lots of storage and lots of wood! 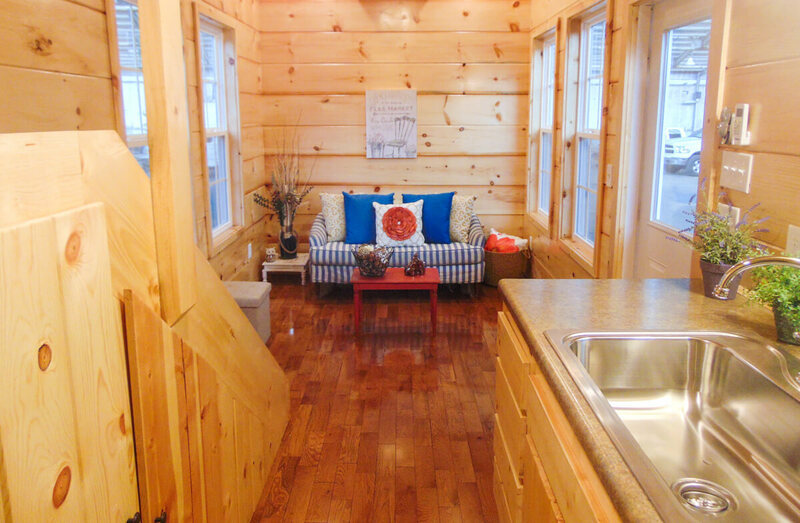 A cute little house that can be a blank pallet to add layers of personal style. Looks like this design was created with a taller person in mind. 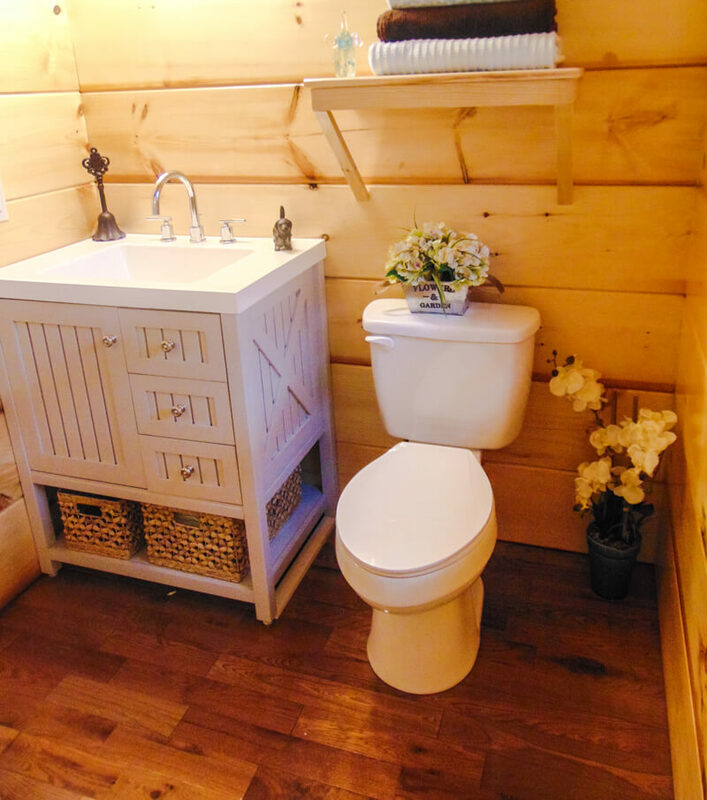 Just goes to show that there are many opportunities to customize to your particular needs. 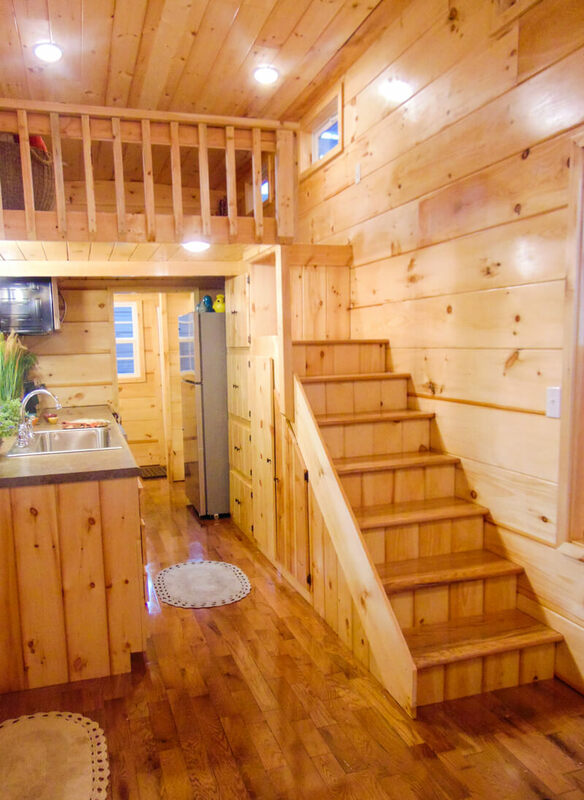 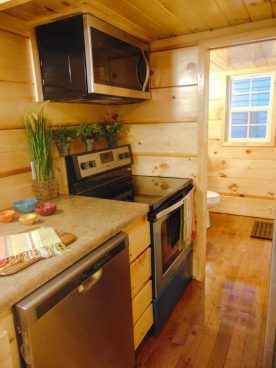 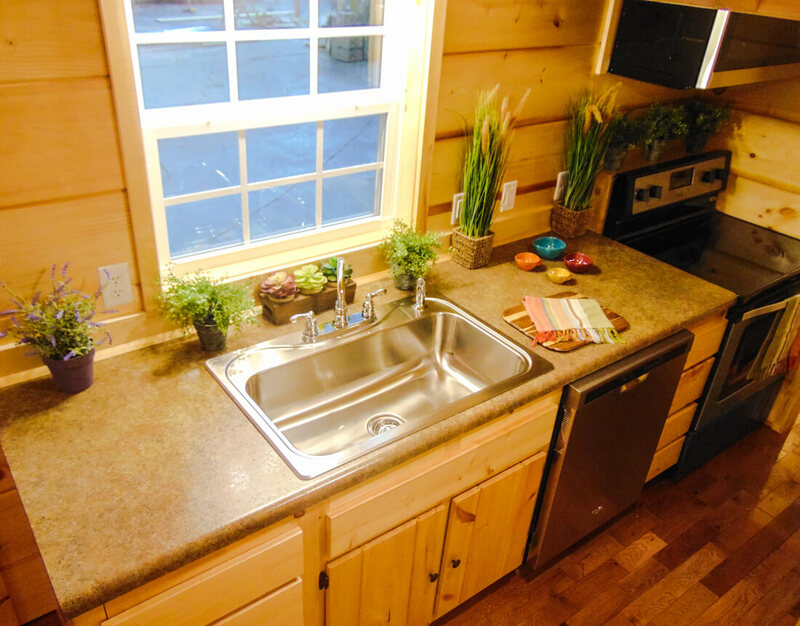 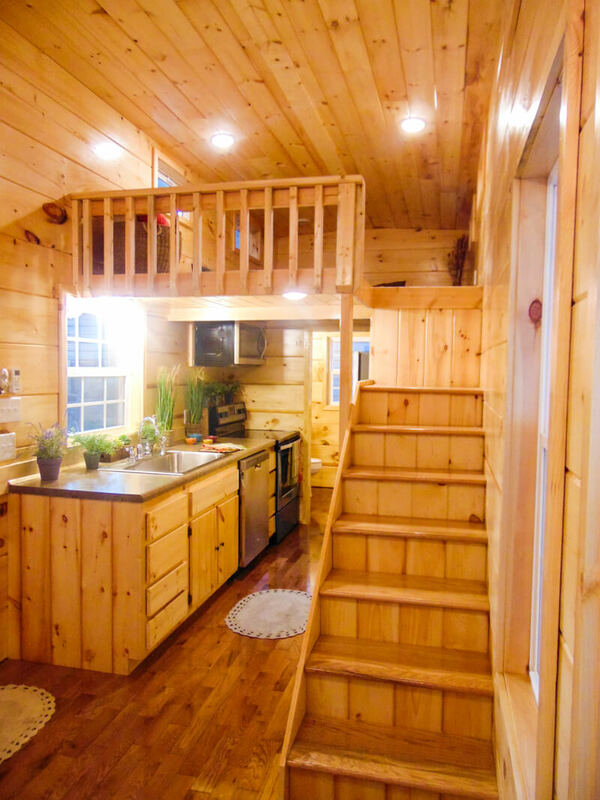 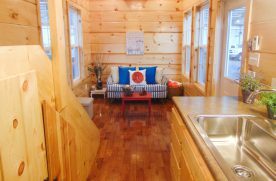 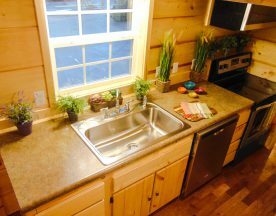 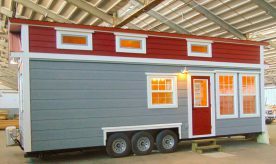 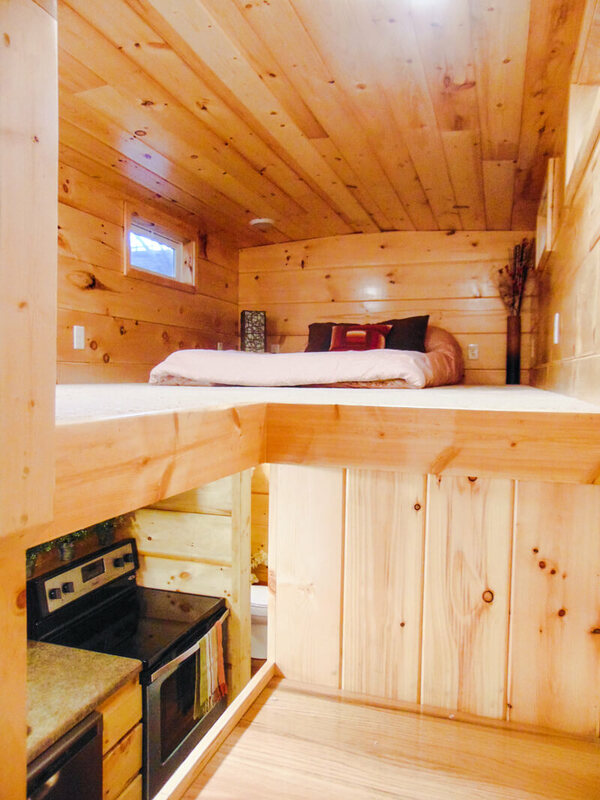 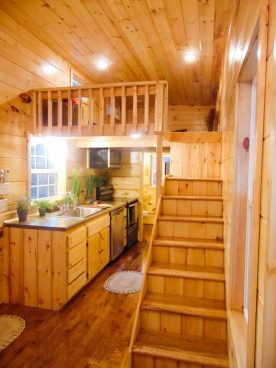 If you would like to know more about this home please click on the link to the builders page here: Incredible Tiny Homes.